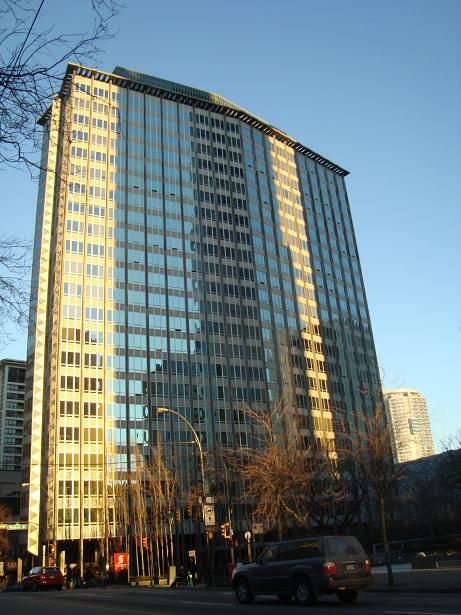 Completed in 1957, the BC Electric Building is one of the first modernist buildings in Canada. 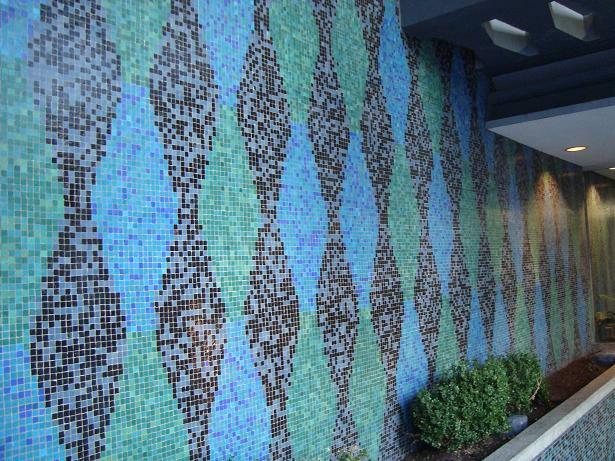 It was designed by architects Sharp and Thompson Berwick Pratt with BC Binnings artistic contribution of decorative coloured glass mosaic tiles in the lobby, plaza and elevator penthouse. The design was inspired by the Black Bay Center in Boston built in 1953. The BC Electric Building is a six-sided diamond-esque shaped building, 22 stories high, with an exterior wrapped in a glass, porcelain and aluminum curtain-wall construction. This innovative technique has cantilevered floors from a central load bearing concrete core with extra support from slender perimeter columns. There are two vertical fins of triangular panels stretching from top to bottom at each end of the building. 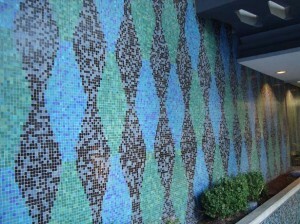 These triangular panels illuminate at night in alternating pairs of blue and green colours. President of BCE Dal Grauer insisted on the tapered slim design to make sure that no desk of any company employee was more than 15 feet from a window in order to take advantage of the natural light and the views of the sky, sea, and mountains. 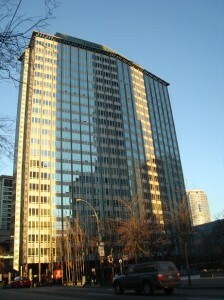 It was the first high-rise south of Georgia St and the first post-war building to be declared a heritage building by the City of Vancouver. Everyday at 12 noon a loud horn on top the building would play the first four chords of the national anthem “O Canada”. For years the company would leave all its lights on throughout the night in order to assure its presence as a city landmark. The company was taken over by the provincial government in 1961-62 and renamed B.C. Hydro. In the 1990’s B.C. Hydro moved to Burnaby and the building was converted to residential use and renamed The Electra. The renovations were designed by Paul Merrick Architects and completed in 1995.